Maintaining an active social media presence is important for many different reasons. Regularly posting content and publishing blogs is a powerful way to build your company's credibility, strengthen customer relationships, and improve your website's search engine rankings. There is only one problem - coming up with stellar content ideas is sometimes easier said than done! Social media (and Facebook in particular) has become today's newspaper. People use Facebook to get updates from friends, give updates about their careers and families, find jobs, get recommendations for local businesses and professionals, and share interesting/noteworthy content. 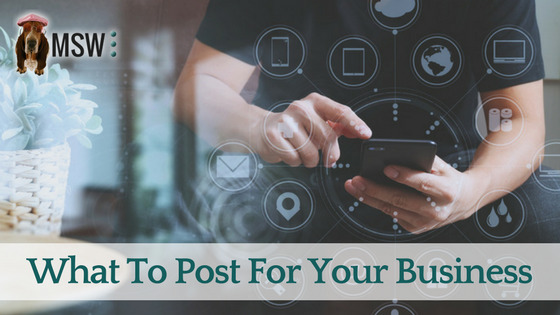 There are so many businesses and individuals vying for attention in news feeds - if you want your posts to stand out, they have to be top-notch. By publishing noteworthy, helpful, and shareable content, you offer valuable information to your clients. If they find your content to be particularly interesting or beneficial, they may share it with their friends, families, or coworkers. When you consistently offer this type of helpful content, you not only position yourself as an expert in your field - you make your company accessible to your customers. When your readers are eventually ready to make a purchase, they will remember you and be more likely to trust your company with their business. So, we've established that publishing high-quality content is key, but the question remains - how can you come up with the content you should post? The best way to decide what to write about is to put yourself in your client's shoes. 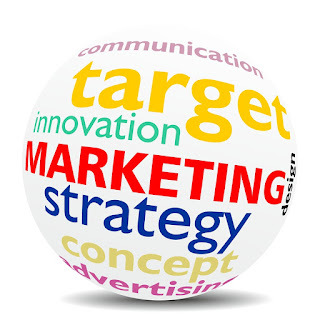 If you were someone in your company's target market, what would you want to know? What information would be helpful to you? What are your concerns? Your answers to these questions will help point you in the right direction. If you're looking for a little inspiration, our social media marketing company is here to help you brainstorm. Here are a few general suggestions to help you get your creative juices flowing. Proactively answer questions you are commonly asked by your clients. Publish testimonials from your satisfied clients. Explain how to use one of your products. Offer tips on a specific topic that would be helpful or interesting to your clients. Tell the story of how you first got started in your industry. Compare and contrast two of your services to help your clients decide which is right for them. Shed light on some lesser-known aspects of your industry. Share noteworthy and/or eye-opening statistics about some aspect of your industry. Write "a day in the life of" post where you talk about what a normal workday looks like for you or one of your team members. Conduct a Q&A with your team members to help your customers get to know your staff. Share a motivational or funny quote that relates to your field. Publish behind-the-scenes pics of your staff. Publish behind-the-scenes pics of your products being manufactured. Celebrate team members' birthdays, employees' work anniversaries, or your business' birthday. Show how far you've come by publishing old pictures of your first product or business location. Share a funny picture of your office or product and host a caption contents for your fans. Offer quick, individual tips that would be helpful to your target market. Publish a video (see our earlier blog post for help creating stellar video content). Share news updates about your industry. Share a testimonial from a satisfied customer. If you are really scrambling for content ideas, you can also look on Pinterest accounts, social media profiles, and blogs maintained by other businesses in your industry as a last resort. Seeing what your competitors are posting about can be a helpful way to get inspiration for your own content marketing campaign. However, it is critical that you be very careful not to steal or plagiarize another company's content. Need Help? MSW Is Here For You! The benefits of building a strong social media presence are vast and varied, but coming up with the content ideas can be challenging as well as time-consuming. If you would like assistance managing your company's social media presence, consider reaching out to MSW Interactive Designs, LLC. When you hire MSW to manage your company's social media, our talented team members will write and publish blogs on your behalf and regularly post on behalf of your business. Visit our website to learn more about the advantages of hiring an independent agency to manage your company's social media. As always, if you have questions about our affordable internet marketing solutions, please don't hesitate to reach out!